We are looking for teamplayers. Collaboration with our colleagues and clients is key to achieve great results. And we are convinced that a diverse team can do this better and faster – which is why we are striving for diversity in terms of gender, age, personality, and cultural background. Teamplay doesn‘t mean that we are making every tiny step collectively. It simply means that together we try to make Digital Oxygen a happy and the best place to work – for everyone involved. We are striving to make our team and our customers happy. But as we are all just humans, we will fail occasionally. That‘s why we need a critical team and customers who consider themselves partners. Who are willing to challenge us and are open to be challenged. We love to create something new, we love actually doing stuff instead of talking about it: Creating new digital products, coming up with amazing, valuable digital business models, or improving a previously frustrating user experience. And we aim at creating a happy workplace. That’s why we are looking for people and partners who want to actively shape our company culture with us. If it‘s by sharing your experience, introducing new technologies, improving our processes or – the most appreciated one – by constructively speaking your mind. We think that there is one single best motivation at work: Being happy. Everything just works better without frustration – for you, for us, our customers, and partners. We are aware that we can’t make everybody happy, because happiness is quite individual. But we are strongly commited to make everybody happy who shares our principles and joins us on our journey. We strongly believe that if you are happy, our customers will be as well. That’s why we put you first. And that’s why our most important goal is to make sure our team can thrive and develop beyond their own expectations. By working on interesting, challenging, and creative projects. And by providing the guidance and support they need to succeed. It’s just so much more fun if you master your job. Intransparent communication is just the biggest waste of time: You keep updating others about things they could have read themselves. You constantly filter what you say because you are not sure who’s supposed to know what. Instead, we at Digital Oxygen work “public by default”: It means on the one side transparent and open communication of decisions, company numbers, salaries, and learnings within the company. But it primarily means trusting and enabling everyone to learn and contribute. We love scaling businesses, but there’s a reasonable limit to which size we want to grow Digital Oxygen: We would like everyone on the team to know each other personally. That enables us to learn more and better from each other and spend more time on developing the individual team member. We are trying hard to give every team member the chance to discover and extend their potential. From the very first day, you will experience a high degree of freedom – accompanied by a lot of responsibility: We believe that there’s no one right way to approach problems. Be creative and be open to try new things. Be smart and always thrive for improvements which require less effort. Take responsibility for failure, celebrate your success and share your learnings. You can’t scale a business just by dropping three-letter-acronyms (“ARPU” is fine though). We like to get our hands dirty and actually work with our customers to solve real world problems. We know our areas of expertise and we are humble enough to say so if we have no clue. Digital Oxygen is one team. So we scrapped individual performance bonuses, as they are just a waste of time and usually create awkward discussions. Instead, we share the company’s annual profit amongst all team members. As simple and transparent as it can be. Profit sharing also means that we are including you in every major strategic and business decision which could influence the company’s profit. We strongly believe that if you are happy, our customers will be as well. That’s why we put you first. And that’s why our most important goal is to make sure our team can thrive and develop beyond their own expectations. By working on interesting, challenging, and creative projects. And by providing the guidance and support they need to succeed. It’s just so much more fun if you master your job. Digital Oxygen is one team. So we scrapped individual performance bonuses, as they are just a waste of time and usually create awkward discussions. Instead, we share the company’s annual profit amongst all team members. As simple and transparent as it can be. Profit sharing also means that we are including you in every major strategic and business decision which could influence the company’s profit. Axel was born with telco DNA. He started as an engineer in the 3GPP/ETSI standardisation and invented numerous patents. After his MBA in Cambridge, Axel entered consulting. He has now gathered extensive know-how in consulting projects for major international media companies and telco operators. Axel is driving the implementation of eSIM and Multi-SIM strategies and processes for European MNOs. 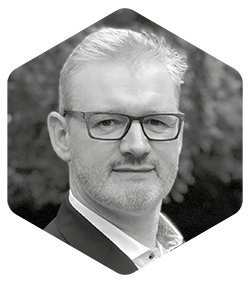 He works on the Consumer IoT business model for M(V)NOs, OEMs, Retail Intermediaries, IoT Vendors and Telco investors and the architecture of all customer related touchpoints and the right organisation to transform legacy infrastructures. Sailing and binge watching are Axel’s ways to chill. His laughter is highly contagious and – to be honest – very loud. You will definitely get it if he’s in the building. Nicolas is passionate about customers and how to make them happy. Before choosing management consulting he has held various positions from strategy to operations. By improving the customer journey, the product, communication, and underlying processes, he maximised revenue and profit. He has successfully managed challenging projects on different continents collecting some of the highest possible awards for his work. His recent expertise ranges from omnichannel strategy and implementation, customer touch point optimisation and customer value management to digital business model creation and optimisation for start-ups, media, telcos, MSOs, MNOs, and investors. His team awarded him with the honorary Sheldon Cooper Medal.